The happiest place on Earth… and one of the most overwhelming. Recently, we were in Anaheim for our Elite Academy, a training convention for the nutrigenomic company my husband and I partnered with. My husband and I decided we would trade off days, so that he could attend the training one day and I would attend the next, since we had our girls with us. On the day I wasn’t attending the training I decided to venture off to Disneyland. Our business partner, who was also attending the training brought her ten year old daughter. When I heard this I offered to bring her along as well. Yes, I went to Disneyland with a 10 month old, 3 year old and 10 year old. Those of you with three kids, kudos. 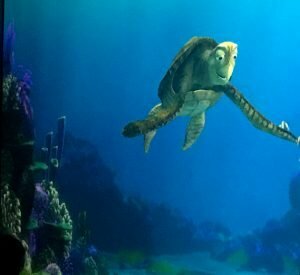 I don’t know how you do it, and even more so if you are a single parent. No, really…you deserve an award. Here are the details including where we stayed, and the gear I used to maneuver around Disneyland. We stayed at the Sheraton, which is within walking distance to Disneyland. It offers great accommodations, and it’s not only close to Disneyland, but right around the corner from the Anaheim Convention Center. 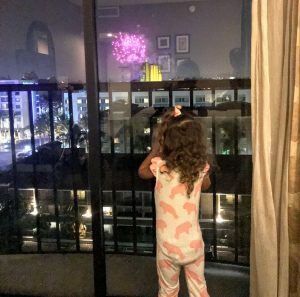 Viewing the nightly Disneyland fireworks from our room at the Sheraton. The night before I planned to visit Disneyland my husband and I decided to walk to the Park to scope out the scene. I also purchased tickets at this time, so that we didn’t have to wait in line the next morning when Disneyland opened. This saved us some impatient toddler time. The only lines we had to stand in were security, to have our bags checked, and the entrance line where tickets are scanned. just in case Disneyland rules and regulations change, or my memory fails. A major bonus, or what I would consider a bonus, is that you can bring your own food and drinks in to the park. Whooo hooo!! Scouting out healthy options can be so hard, and even more difficult when at a theme or amusement park. I brought our staple snacks (Munk Packs, Mamma Chia pack, kale chips, LARABARS and dried fruit), and stainless steel water bottles. Bags are checked, and glass is not allowed in the Park. Prior to visiting the park I found this helpful article listing the vegan options at Disneyland. I’ll admit I didn’t have the time to visit all of the mentioned restaurants to try these great foods… I was lucky to get from Goofy’s Playhouse to It’s a Small World. So let me jump into what the biggest (unexpected) challenge was for me. An indecisive toddler. I should have known better. Of course I know my toddler changes her mind, but when I told Mini K she was going to meet Princess Aurora, and then as we were waiting in line to do so, Mini K decides no, I don’t want to meet Aurora. Ok. We begin walking toward the rides. Deep down I know she would enjoy meeting a princess. It was then that I realized just how overwhelming Disneyland must be for children. All the people, commotion, and intimidation by the characters they fantasize over from the books we read to them, the toys they see in stores or the television shows/movies they watch. Now I understand that children don’t consider intimidation in that particular way, but I think it is the best description of their emotional state when meeting a character. Imagine meeting your own favorite celebrity. 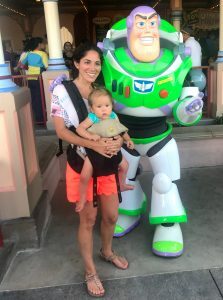 As adults we easily become starstruck, so magnify this feeling by at least ten, now add the excitement of rides, and the overall anticipation of being told that you are going to Disneyland. This made me take a step back and realize just how overwhelming this must be. As expected, the indecisiveness, fear and excitement carried over to the rides. We went to Goofy’s Playhouse, which was an ok experience, but I finally realized why Mini K wasn’t super interested – she was hungry. Be sure to plan for snack breaks. After she took time for a snack, Mini K was ready to explore Goofy’s Playhouse for a few more minutes. Shortly after she returned to playing, she was over it. Be sure to plan for snack breaks. Again, I’m not sure if this was due to being overwhelmed or bored. I tried to take her to Chip n’ Dale’s Treehouse next, however she wasn’t sure of it, and I felt like I was forcing her to walk to the top – not fun. She also declined to meet Mickey and Minnie Mouse who were next to the Treehouse. Instead of running you through everything Mini K did not want to do, I’ll fast forward to what we did do, happily. The rides that my seemingly uncooperative toddler did agree to go on included; It’s a Small World, Storybook Land Canal Boats, and Casey Jr. Circus Train… that was it. In five hours we went on THREE rides. Some restaurant ideas were listed in the link above, so for lunch we ate at Frontierland’s Rancho de Zocalo. I was surprised that upon ordering with my “special” requests (i.e. no cheese), that the staff clarified by asking me, “Vegetarian or vegan?” I was pleasantly surprised that my request wasn’t considered out of the ordinary. How we got around – I brought a stroller. I have the Double City Jogger Select, giving Mini K the option to ride or walk. My 10 month old, at the time, didn’t mind riding in the stroller, yet when she was tired she preferred to be worn. I have the Lillebaby All Seasons, a godsend! We did quite a bit of walking around the park. I’ll spare you the details, but I melted. It was a long day of back and forth, and the heat added to the strain. Walking included the main areas of the park, downtown Disney and also Sleeping Beauty Castle Walkthrough. I was tempted to schedule a Princess makeover, however I decided to wait until Mini K is a few years older. We did visit the shop where the makeovers take place and purchased a set of Frozen ‘Minnie’ ears. From a distance Mini K saw Cruella Deville, who she knew nothing about. She hasn’t watched 101 Dalmatians. This was a spectacle, as she took a break and enjoyed an Olaf popsicle (I checked and didn’t see dairy in the ingredients. The attendant could not confirm, nor deny whether it was actually vegan. This is where my flexible plant-based consumption comes into play.). When I did a quick scan of the ingredients, I noticed turmeric for coloring, which I thought was a plus. Popsicles aren’t the norm for my daughter, so it was a treat for her to enjoy. I felt bad for my business partner’s 10 year old daughter, because I know she would have enjoyed going on more rides, but she was a trooper. The rides Mini K did go on, I too was able to ride while wearing Llama. 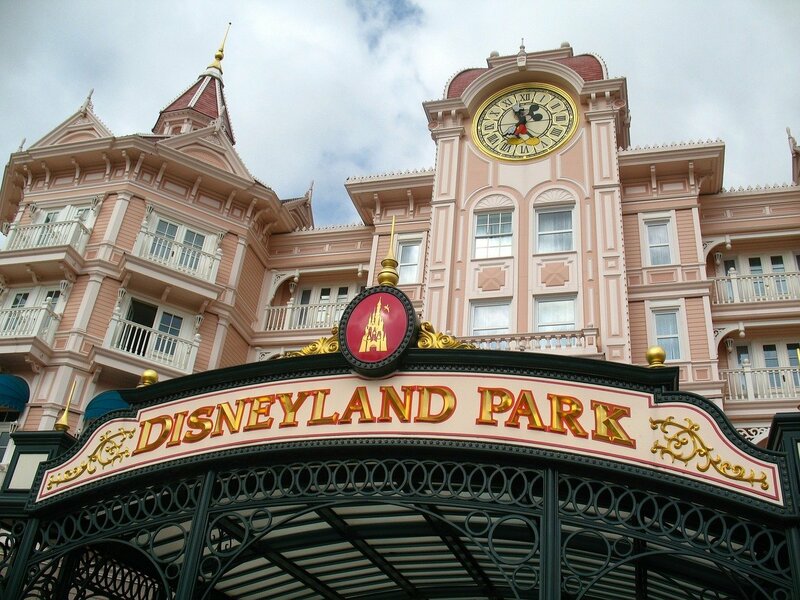 Disneyland has a rule that anyone under seven years of age must be accompanied by someone over the age of fourteen. This made things a little harder, considering Mini K’s reluctance, yet it wasn’t a huge disappointment. Our progress on day 2 was much more enjoyable. Why? My husband joined us (thankfully!). We snuck away from our business conference just before it concluded, so that we could both be present for a family day at Disneyland. This time we decided to visit California Adventure, which if you don’t buy the Park Hopper, you have the option to use your pass at either Disneyland or California Adventure. Mini K was much more willing to go on rides since Daddy went on them with her. Llama and I were also able to join in on the fun, since she could sit on my lap while riding Heimlich’s Chew Chew Train and The Little Mermaid – Ariel’s Undersea Adventure. Daddy and Mini K went on Francis’ Ladybug Boogie and Maters Junkyard Jamboree. 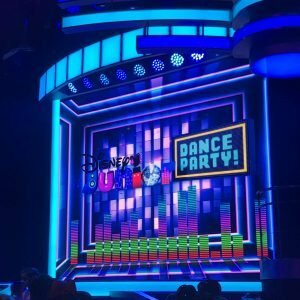 My two favorite attractions that were not rides include; Turtle Talk with Crush, and Disney Jr. Dance Party (think clean Rave for little ones!). My suggestion is to research before visiting. Look up what rides/attractions will be open during your visit. It took me so long to write this post that I just read an article that states Heimlich’s Chew Chew Train and Ladybug Boogie will be closing by the end of 2018. How sad! These were a couple of my favorite rides in California Adventure. The age and interests of your little ones will influence whether Disneyland or California Adventure is a better option, if you have to choose between the two. If you don’t have two adults visiting the Park, consider taking a teenager (maybe an older cousin?). At least someone over the age of fourteen to go on rides with those under the age of seven. Remember to bring sunscreen! We applied, and reapplied, yet cheeks were still red from the walking, heat and little amounts of shade.